Run live March Madness(NCAA) calcutta auctions, golf tournament auctions, estate auctions, charity auctions or just about anything. Join an existing auction, or create your own and invite friends. Best of all, it's totally free. Create your free auction account today! If you would like to receive updates, please create an account and subscribe to the newsletter. Auction Pro originally started out as an application built to make my personal calcutta auctions available to friends that were out of town. With high demand and urging of others I finally made the site available for use by the public. The site comes with no warranty, but it has undergone many iterations and enhancements and is very stable. 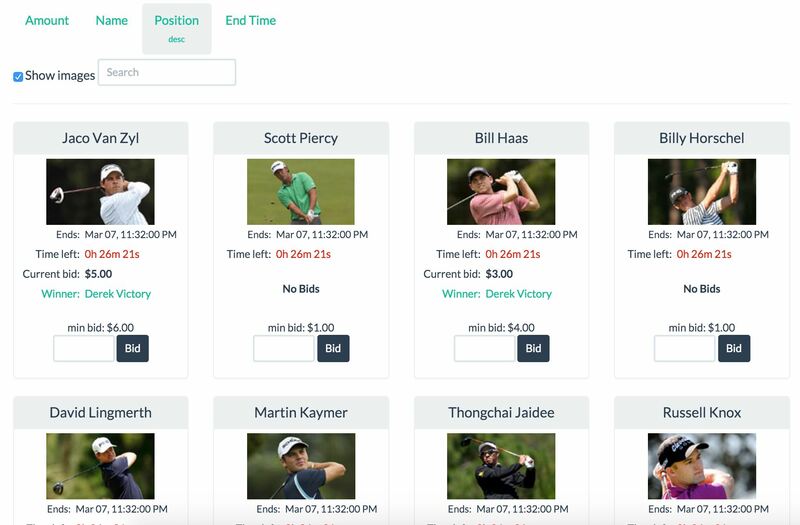 Feel free to use it to host your own NCAA tournament calcutta, Masters calcutta, or whatever else you want to auction off with your friends. Please drop me a line if you have feature request or any issues while doing so. I hope you enjoy it and have a great time. The auction room is where the action happens for live auctions or calcuttas. View the current item, bid history and place bids. The bidding form for calcutta auctions has been simplified. Simply enter the amount you wish to bid or click the minimum bid button to make the minimum bid for the lot. View the auction results just below the bidding section to keep track of your winning bids and budget. You can live chat during the auction as well! The simultaneous auction is like a silent auction. All items go on sale at the same time and anyone can bid. 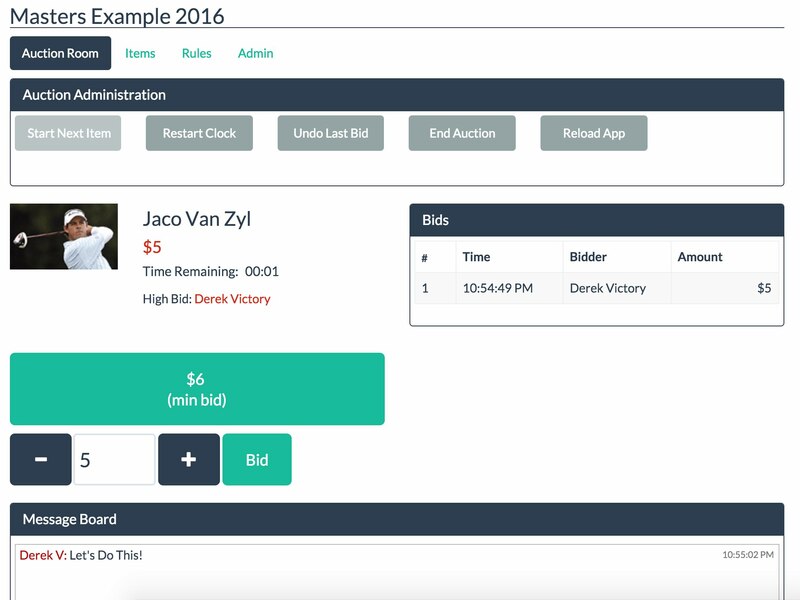 To prevent snipe bids, each item can be extended a configurable amount of time after each bid automatically.